Here Is A Look At An Album You Are Sleeping On! 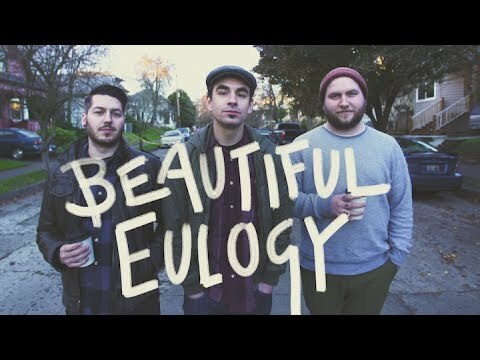 Beautiful Eulogy’s "Worthy"
It’s not too often I find myself wanting to grab a cup of coffee, fit on my best pair of over-the-ear headphones, and begin meditating on a hip-hop album. Beautiful Eulogy—hailing from Portland, Oregon—is back with their third studio album titled Worthy, and the excellence and originality of their art is once again deserving of a close listen. The hip-hop climate is faddish, and I’ve had trouble sitting with albums past their release weekends. I’ve had about a week to sit with Worthy, and I’m still walking away impressed after every listen. Braille, Odd Thomas, and Courtland Urbano mix the right sounds with the right features to make this album feel bigger than life. With the grungy kicks, straightforward lyrics, melodic choruses, and subtle inversions of various instruments, Worthy compiles a wonderful album experience. 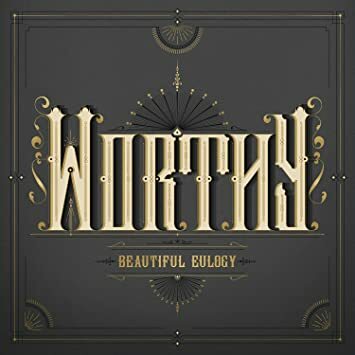 With the grungy kicks, straightforward lyrics, melodic choruses, and subtle inversions of various instruments, Worthy compiles a wonderful album experience.Worthy is the soundtrack of God’s bigness. The album cover art and the intro track match beautifully. From the style of the art, you might presume the music should start with a huge introduction of a pipe organ—and it does. Everything immediately feels right. The tones of the organ make you feel the immediate “Weight”—the opening track title—of God’s glory. Courtland Urbano opens the doors of our ears to God’s grand cathedral and invites us to look around and behold the weight of God’s glory. Before the album becomes too grandiose, Odd Thomas and Braille complement the airy awareness of God’s greatness with the reality that He holds all the intricacies of our lives in the palm of His hands in the track “If….” The reminder found in this track is to not hold our relationships too tight, nor to find our significance and worth in those relationships—carrying the theme that God alone is worthy of our complete allegiance. Every good and perfect gift comes from your hand/ You set me back on path when I run from your plan. I suppose what exposes the worship in most of us is a close look at most of our thoughts, fears, and emotions. The spacey synth sounds of “Omnipotent” open the imagination, producing the sense that we’re floating powerlessly interstellar, raising the questions: Are you really in control of anything? How much power do you really have over your life? “The weakest man I know, is the man I see in the mirror/ But its okay to be inferior when you know Christ is superior.” Obviously drawing attention to God’s power, “Omnipotent”—featuring King’s Kaleidoscope—brings God’s power to earth and to eye level. Beautiful Eulogy is a Portland, Oregon-based group made up of artists Braille, Odd Thomas and Courtland Urbano. The group introduces a distinct and directive sound based in the context of its members’ hip-hop roots and shaped by influences like electronic music, folk songs and old hymns.